Why is Easter linked to eggs? Apparently the tradition of Easter eggs was brought into the United States by immigrant Germans. Possibly it was the idea of new life that is the message of Jesus’ resurrection on Easter Sunday, and out new lives in Christ as a result. Needless to say, there was a Willy Wonka-esque transformation to chocolate Easter eggs, which is now the embodiment of yet another sugar-laden commercially-driven holiday. Of course my personal view is that the Easter eggs and Easter bunny add no attraction to the wonderful significance of Easter. But I did enjoy decorating Easter Eggs with the kids when they were little; I remember food colouring getting on almost every surface…and neither of them got to eat the eggs because both kids were allergic to eggs and a mulititude of other allergens when they were small. 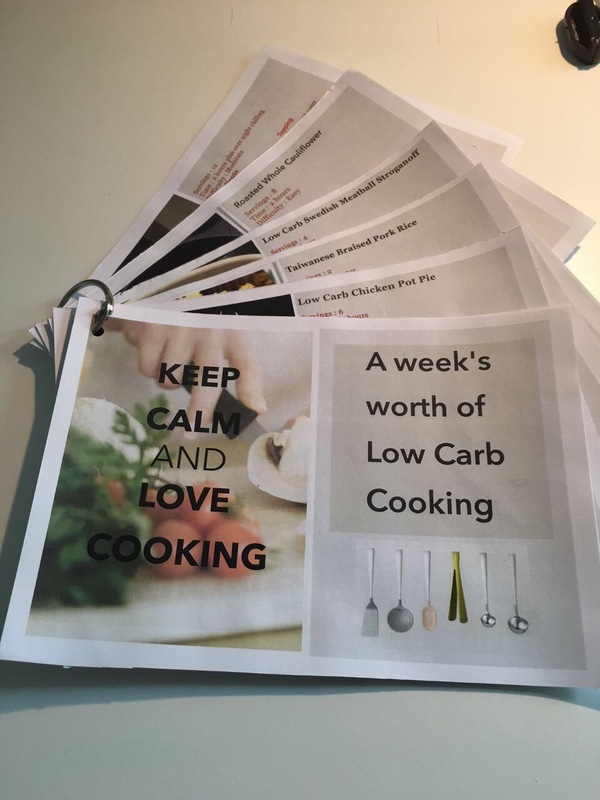 Yesterday I had a fun time sharing some low Carb ideas and recipes with some ladies…I was impressed that they came up with a handout of a week’s worth of low carb recipes from my blog. At the end of the day I think I may have worried them about the whole paradigm shift about how carbs are actually not an essential nutrient…after generations of nutrition based on low fat guidelines, it does take quite a bit to wrap one’s head around the opposite strategy. Anyway I did a mini-demonstration on doing low carb handrolls with 2 different fillings. 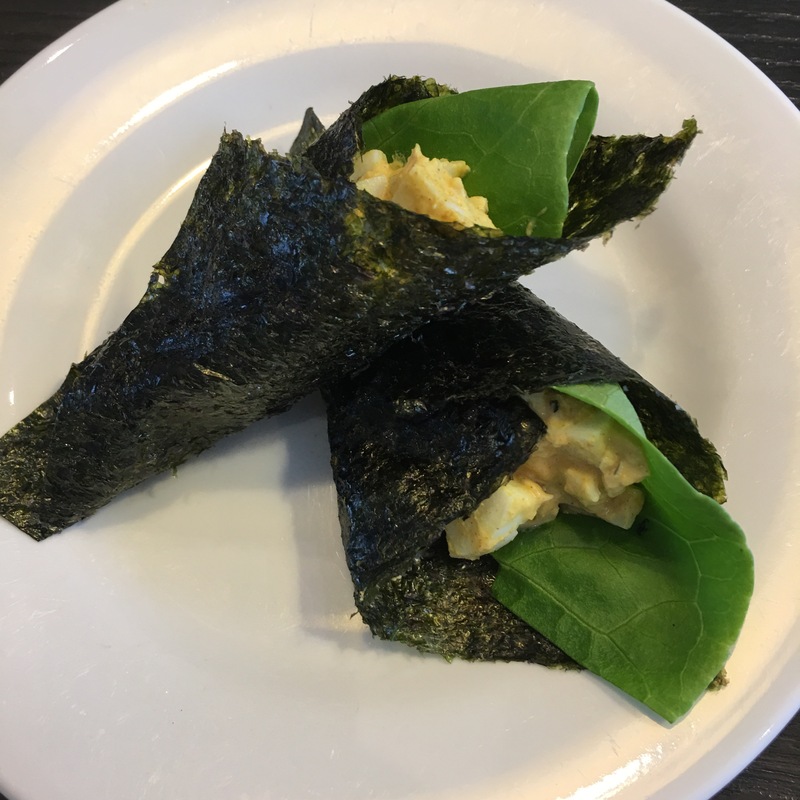 I’ve blogged previously about doing a low carb spicy prawn mayo handroll and the new recipe is below, low carb curry egg handroll. I think it was a fun demo; different ones liked either of the fillings, and at the end of the day, there’s nothing not to like about a healthy and tasty snack! So happy Easter one and all! May you have a wonderful time this holiday discovering the newness of life and the Giver of life! Cut the seaweed into quarters. Set aside but place in a ziplock bag or airtight container so that the seaweed stays crispy. Pressure cook the eggs in the Instant Pot (5 minutes high pressure and 5 minutes normal pressure release). Remove and place the eggs in an ice water bath. Peel the eggs, then slice and chop thinly. Add the mayonnaise, curry powder, chopped onion to the eggs and mix well. The filling can be refrigerated at this stage until you are ready to serve. Lay out the seaweed on a flat surface. Place a leaf of butterhead lettuce on the seaweed and a heaped tablespoon of curry egg mixture on the lettuce lead. Roll the seaweed like a cone, keeping the filling at the center of the cone. Serve immediately to make sure the seaweed does not get soggy.